Lamont: If he is looking for advice, answers, etc have him join BIT. I see that you joined and I thank you and welcome you to the community. Also have him check out http://www.revisionpath.com . Maurice Cherry is a web dev/graphic designer. He is a great site. All the free programming sites are good. Pretty sure if you pose this question on BIT you'd get a lot of answers as well. What if your 16 yr. old child have a great interest in computers, graphics and programming; what can you suggest to help guide him in his gift? 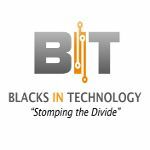 Plus there is so much content there all created and curated by African Americans in technology who want to see more African Americans succeed.